You are welcome to Issue 6 of our monthly Microsoft Digest. We keep on familiarizing you with new products of the Microsoft cloud world, interesting facts of the digital technology universe, and useful features which you can put into practice when using Azure and Office 365 services. Analyze this! Information has become a major currency in the modern market environment. It is vital not only to obtain it from different sources but also to interpret and use it correctly. The accuracy of the managerial decisions taken, the speed of reaction to any changes,and the reliability of forecasts within your company strategy depends on conclusions you will be able to arrive at based on the data collected. Office 365 subscription, a package including analytical tools, will help you to cope up with all these challenges. We will cover two of them. One of the most outstanding facts on how to use information in a timely and efficient way is the story of Rothschild’s sons, who succeeded in making a whole fortune on Napoleon’s Waterloo defeat. At the battle onset, Napoleon had the upper hand, which fact was reported to London by numerous observers. Yet at a certain moment the situation changed and Napoleon found himself in a minority with the allies moving towards a victory. 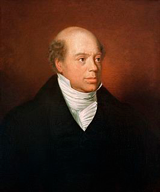 Nathan Rothschild’s courier, who was observing the battle, rushed to a Belgian port and hired a fisherman for 2,000 francs to get him over to England despite a raging storm (according to another version, the courier sent a messenger-pigeon). As a result, while all the people in London were sure of Napoleon’s victory, the Rothschilds began selling out their shares at the stock-exchange. They were followed by all the others. The security ratings plummeted and the Rothschild agents could buy up shares at nearly knockdown price. When the message on Napoleon’s defeat reached London officially, Nathan Rothschild had made 40 million pounds sterling on it. Opportunities of CSP-channel licensing are expanded. In February, Microsoft announced a possible Azure Marketplace use within the framework of Cloud Solution Provider (CSP) program. 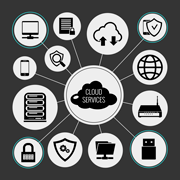 advanced applications specially designed for work in Azure or based on the platform. The store provides an access to offers and solutions of more than 300 thousand Microsoft ecosystem partners. Are you interested? Please, contact us to clarify the prices and get an access to Marketplace products. What do you know about the chat bots? And how they can help your business. A chat bot is a robot capable of interacting with users on websites, in applications and such services as Cortana, Microsoft Teams, Skype, etc. It enables to establish communication between companies and their perspective customers. In fact, the chat bot simulates behavior of a living person in a chat. The bot can share useful content or report news or actions via a free message mailing. Chat bots are so universal that they make a perfect fit to a company of any scale ranging from microbusiness to humongous corporation! The chat bot is a relatively new but already quite popular interaction channel with a customer audience. It is always ready to ‘listen’ to the clientele and find an optimum solution. Softline has already acquired the experience in projects of chat bot integration into the customer ecosystems. If the Internet is to be believed, the first electronic aid’s name was Julia. Of course, there was little ‘Julia’ could do: she analyzed a user-written text and then put out something more or less related to the topic. It was created by developer Michael Moulding in 1994. Chat bots were well-known to the Internet regular customers in the late 1990s and early 2000s as well; they told jokes, held quizzes or banned persistent chat regulation violators in IRC and IM. Definitely, the bots have grown much smarter today. A vivid example is represented by the Russian Evgeny Gustman chat bot, which has succeeded for the first time ever to pass Turing’s anthropomorphic test: the program was so successful in impersonating a thirteen year old Ukrainian boy that a part of the testing jurors took it for a real person. – May the Microsoft product prices be fixed? – Depending on the licensing channel, the prices are fixed in different ways. When you enroll into three-year Enterprise Agreements, the prices are fixed for the entire three-year period. If you buy CSP-channel licenses on a monthly basis, then the prices will be fixed for you for 1 year. – How to get a total bill for using Azure and Azure Marketplace in ЕА? – Previously, bills for transition to Azure and use of Azure Marketplace products were issued separately. Starting from April 15, 2019, our customers will receive one total bill for payment. – In what cases is there an option of maintaining the members’ access and subscription rights, when the subscription is transferred to another account (Account Owner) under EA? – When transferring a subscription between two accounts with similar domain names, the existing Role-based Access Control (RBAC) policies set by you are maintained: service administrators and co-administrators. Any other subscription re-assignments will lead to the existing access control policy loss. The service administrators will be updated to the target account.